In Developed Countries like France continues to develop its base oil and synthetic lubricant for better products to meet the demand of lubricants in their homeland, which should lead to higher levels of performance in industries like Cars and other industrial fields. 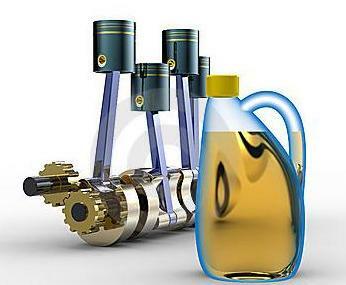 - A French consumption of 350.000 tons per year of new oil. - A French deposit 240.000 tons of waste oils. - A French collection of 210.000 tons of waste oil produced by two operators Sevia (Veolia Environmental Services) and Chimirec. - A share of recycled waste oils in France not exceeding 33%. The rest is exported or recovered in boilers. - Two recycling plants in France: Eco oil capacity of 123.000 tons of oil "black" for 60.000 tons of regenerated oils and Lillebonne Osilub a capacity of 120.000 tons of oil "black" for 90.000 tons of regenerated motor oils. As this research conducted over the total consumption of engine oil in France that is exceeding by 6% yearly. That resulted a big amount of oil to be waste, and few years back researchers founds that this used oil can easily be recycled by chemical filtration. That's why you see a good amount of plants working on used oil to make it fully operational for further use.